Creating a culture of innovation is one of society’s greatest challenges. Innovation creates new opportunities that lead to sustainable economic growth and can help tackle serious societal problems such as climate change or pandemics. In this Master’s programme in Innovation Sciences you will learn how to transform new ideas into marketable innovations and to manage and promote innovation processes within companies as well as in society at large. Furthermore, you will learn about the role of companies and other knowledge-producing organisations in the wider innovation system. This two-year multidisciplinary Master’s programme focuses on the dynamics of emerging technologies and innovation. After completing this programme, you will be able to link emerging technologies to human and economic wants and needs, as well as to grand societal challenges. Particularly, around energy, sustainable transport, and life sciences. How does innovation contribute to economic growth, welfare, health care, climate change, energy security, mobility and sustainability? 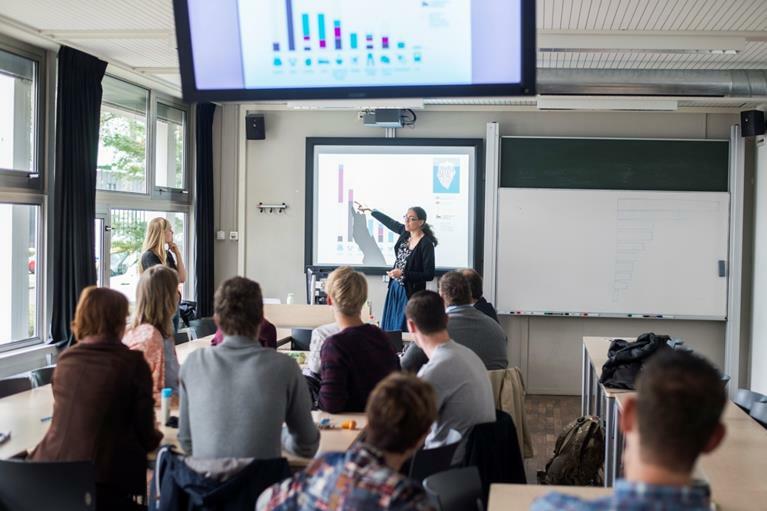 Utrecht University offers you a challenging setting in which to make a significant contribution to tomorrow's society. This programme will be of particular interest to students with a background in technology, health, life sciences, natural sciences or industrial engineering that wish to extend their technical background with knowledge about innovation management and social processes. Moreover, the programme is also of interest to talented students with a background in the social sciences (for example: economics, economic geography, entrepreneurship or business) that have demonstrated affinity with science and technology. Innovation Sciences students typically pursue a career in high-level consultancy, strategic research and development (R&D) management, policymaking, entrepreneurship, or academic research. As an Innovation Sciences student you will analyse the various stages of the innovation process with a view to developing effective strategies for promoting innovation. The aim of this programme is to give you an insight into the nature of technological change and the conditions affecting knowledge production. It also aims to give you an understanding of the societal uptake of innovations and the role of companies and other stakeholders such as research institutes and governments in the wider innovation system. Visit the Innovation Sciences - MSc page on the Utrecht University website for more details!